This mythic tale of greed and political corruption, traces the rise, flourishing, and demise of a Saharan oasis community. Aghulli, a noble if obtuse man who has been chosen leader of the oasis, hankers after the traditional nomadic pastoralist life of the Tuareg. He sees commerce as the prime culprit in the loss of the nomadic ethos. Thus he is devastated to learn that his supporters are hoarding gold. 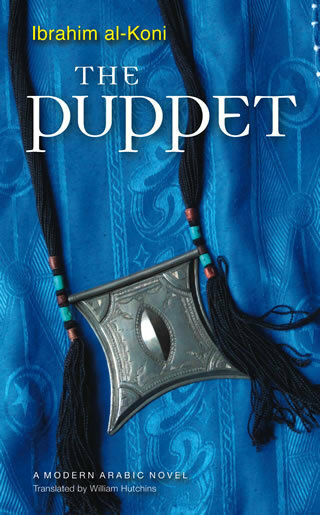 A subplot about star-crossed young lovers introduces a Sufi theme of the possibility of transforming carnal into mystical love, but The Puppet, with its portrayal of a good man who has been asked to lead a corrupt society, is first and foremost a gripping, expertly crafted tale of bloody betrayal and revenge inspired by gold lust and an ancient love affair.